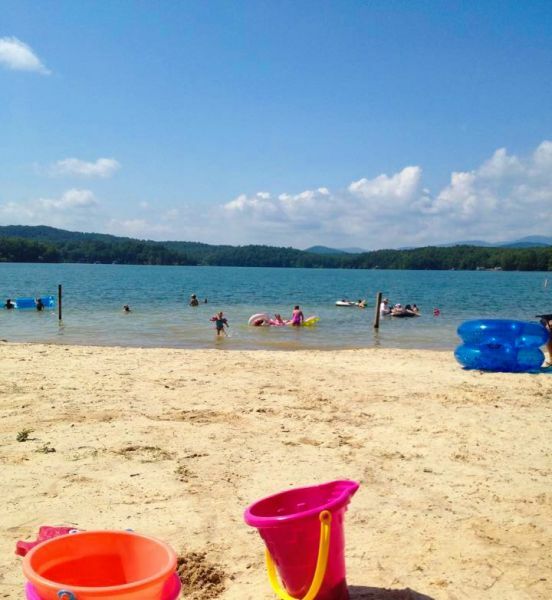 Morganton Point Recreation Area is the most popular spot on Lake Blue Ridge! This beatiful area offers picnic areas, campsites, a beach area for swimming with lifegurad on duty, hiking trails, fishing access, boat launch, and a snackshack! If you want to spend a day soaking up some rays and gorgeous lake and mountain views, this is definately the place for you! Parking is $5 per vehicle per day. Must have cash.